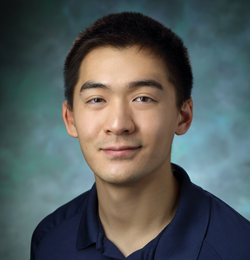 Eric graduated from the University of Maryland in 2009 with a Bachelor’s of Science degree in Kinesiology and received his Doctor of Physical Therapy degree from Marymount University in 2013. He is also a Certified Manual Physical Therapist (CMPT) by Jim Meadows and the Institute of Manual Physiotherapy and Clinical Training (IMPACT). He specialized in techniques such as joint mobilization, soft tissue mobilization, myofascial release, muscle energy, joint manipulation and proprioceptive neuromuscular facilitation (PNF). Eric treats all orthopedic conditions using concepts and principles from his manual therapy background but has an interest in the spine and its inter-relationships with each of the extremities. Eric educates his patients about the nature of their injuries and how best to manage their conditions. He believes in the use of a patient specific home exercise programs to promote alignment, independence and the ability to manage pain and dysfunction. By retraining movement patterns and maintaining a strong core, patients can protect their joints and live healthier, more active lifestyles.